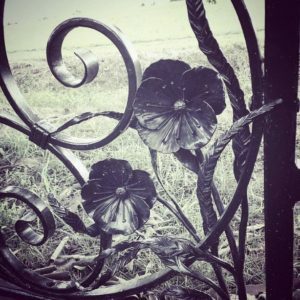 At about the same time that we began our doctoral programs, Ron’s cousin-in-law, Matt, began an apprenticeship to become a blacksmith that was nearly equivalent in duration to our program. For sure, there were a lot of similarities between the two programs and some differences as well. We worked closely with our major professor and began the long and arduous process of going from consumers of knowledge to producers of knowledge. It took us several years under the watchful eye of our mentor to learn how to effectively conduct research and to communicate that research to our peers via scholarly journals and conference presentations. 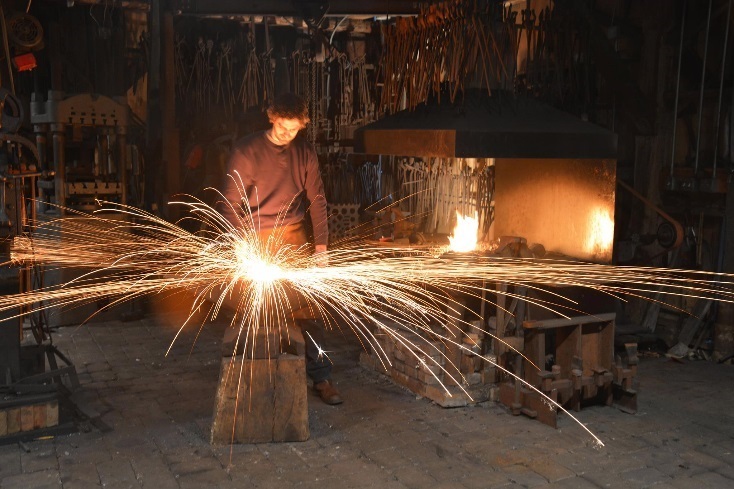 Likewise, Matt worked alongside a master blacksmith named Alphonsus and traveled to work with several other blacksmiths to learn additional details of the trade. After completing the lengthy apprenticeship, Matt started his own company where he creates refined artistry in architectural metalwork such as, railings, furniture, and gates in addition to sculptures found at topiaries, businesses and community parks. Matt is a master craftsman and he has a full toolbox, at least figuratively, as most of his tools are large pieces of equipment. Over the years he has come to learn about many different types of tools, but more importantly, how to effectively use those tools. While many people will be able to understand the purpose of those tools, and maybe even the mechanics behind how they operate them at some level, it takes a master craftsman like Matt, with years of training and experience to use those tools to turn a raw piece of metal into an intricate, sophisticated piece of art. Educators often talk about preparing teachers to have many tools in their toolbox, and it is important to do so. Over the course of a preservice science teacher education program students likely learn about many tools applicable to the classroom. Some tools teachers learn to use may include the 5E learning cycle, the Claim-Evidence-Reasoning framework, scoring rubrics, interactive assessment technologies, and templates for backward lesson planning (Wiggens & McTighe, 1998). Some tools are common across education disciplines, and some are specific to science education. Some tools are more conceptual and others are more tangible. Some tools are for instructional purposes, others for evaluative purposes, and still others for classroom management purposes. But, make no mistake, teachers are exposed to a lot of tools that can be placed in their toolbox. Science teacher educators are, in part, responsible for introducing teachers to classroom tools. Science teacher educators also work diligently to help students not only learn about the tools, but how to effectively implement the tools in the science classroom. Those working with inservice teachers do much the same in professional development environments, informal settings, or in graduate programs. As practitioners, science teacher educators often have the opportunity to use the tools we share with science teachers. In many cases, science teacher educators have learned about tools from preservice and inservice teachers. Some tools are more easily mastered than others and some require extensive time commitments to master. We strive to help teachers not only know about the tools, but how to use those tools. One major difference between our doctoral program and Matt’s apprenticeship regarding training is the general lack of one-on-one instruction and interactions preservice and inservice teachers receive. Often, we rely on mentor teachers to provide that one-on-one training that we receive. Moreover, the length of the one-on-one training for preservice teachers is often limited to one or two semesters instead of multiple years. So, it is even more critical that the time we spend with preservice and inservice teachers truly prepares them to use the tools of the teaching trade. We must help them become master craftsmen of the tools we present to them. Practitioner journals like Innovations, are an ideal place to share classroom tools. However, an explanation of the tool and how it is used is not enough. Practitioners need to know more about the experiences that can be provided to help science teachers learn about the tool and how to master the use of the tool. But, what does mastery look like? Returning to our master craftsman, Matt, the outcome of his mastery of many tools is evident in the metalwork he fabricates. One can simply look at the meticulous detail, solid construction, flawless welds, and artistic design to know that the craftsman has mastered the tools of the trade. The elements of effective teaching are less easily agreed upon, but many can identify effective instruction when they see it. Arguably, one element of effective teaching is the appropriate utilization of a broad array of tools to engage students and move their thinking forward. Innovations is a place to describe how this can best be done with the tools at hand. In addition to learning about new or innovative tools, Innovations readers are interested in reading about how science teacher educators help other people come to master the tools of teaching. One of the most common issues with manuscripts submitted to Innovations is that reviewers request additional details regarding what the author(s) do in their classrooms and other suggestions for implementation. Describing the tool used is not enough. Innovations readers are also interested in how to prepare teachers to effectively use the tool and look to authors for detailed descriptions, advice, and suggestions for how to do so. Science teacher educators do need to remain judicious with respect to the manner in which tools are introduced to preservice and inservice teachers. 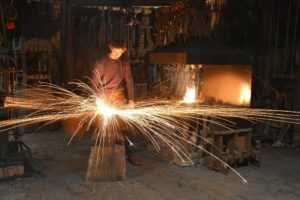 The time required for Matt to learn the tools of the blacksmith trade took longer than most preservice science teacher preparation programs. Thus, science teacher educators are left with additional questions and seek the guidance of other practitioners to develop their courses and programs of study. How many different tools can preservice science teachers effectively learn how to use during a teacher education program? Which tools are most worth introducing to preservice teachers and which are more appropriate for inservice teachers? What are the best practices for science teacher educators to help facilitate the use of these tools by novice teachers? Are there tools that inservice teachers are using, but are less familiar to science teacher educators? Innovations serves as a forum to share tools, describe how to train others to use those tools, and consider which tools are most worth introducing to science teachers and at which stages of their teaching experiences. Just as we look forward to receiving manuscripts that address these issues, we know that Innovations reviewers and readers do too! Please join us in this discussion by submitting proposals and sharing your thoughts on articles published in Innovations on the journal Facebook page. *Authors’ Note: Here the term craftsman is used rather than the gender-neutral term craftsperson, or including both craftsman and craftswoman, primarily for readability as the subject of the topic is male and alternating between terms can be cumbersome and diminish readability. The Meriam-Webster dictionary implies the term craftsman is gender-neutral by providing as definitions: (1) a worker who practices a trade or handicraft, and (2) one who creates or performs with skill or dexterity especially in the manual arts and we use it in the spirit of those definitions. We hope our inclusion of the term craftsman does not offend readers. 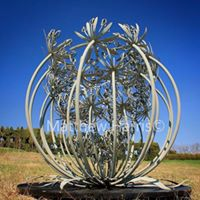 Photos courtesy of Harris Metalwork Studio.